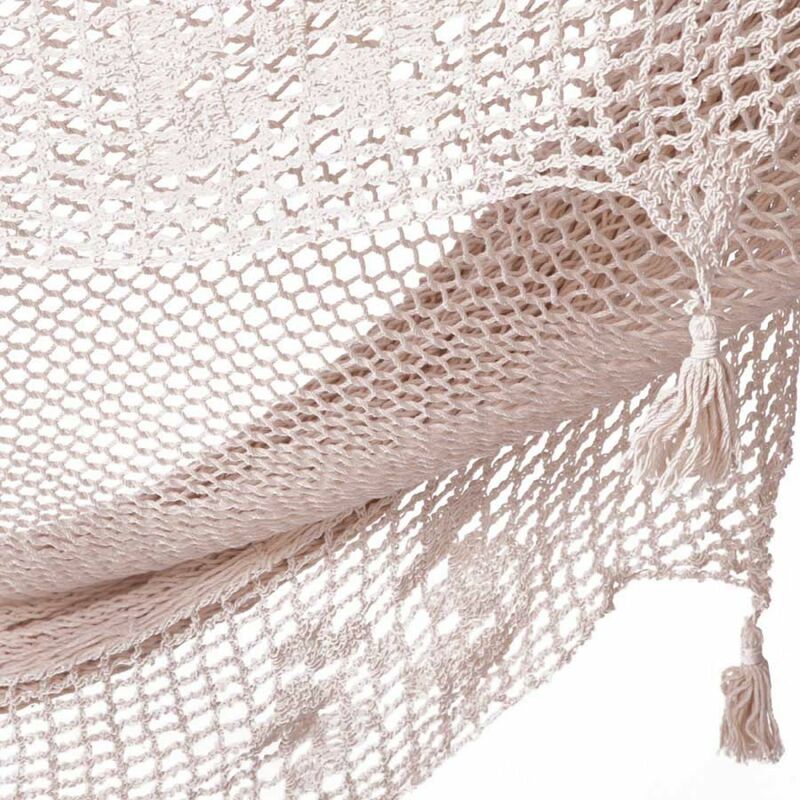 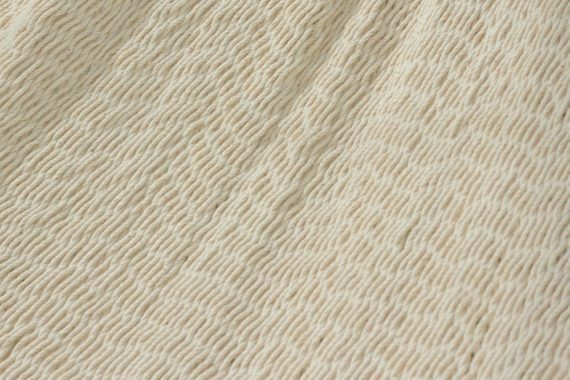 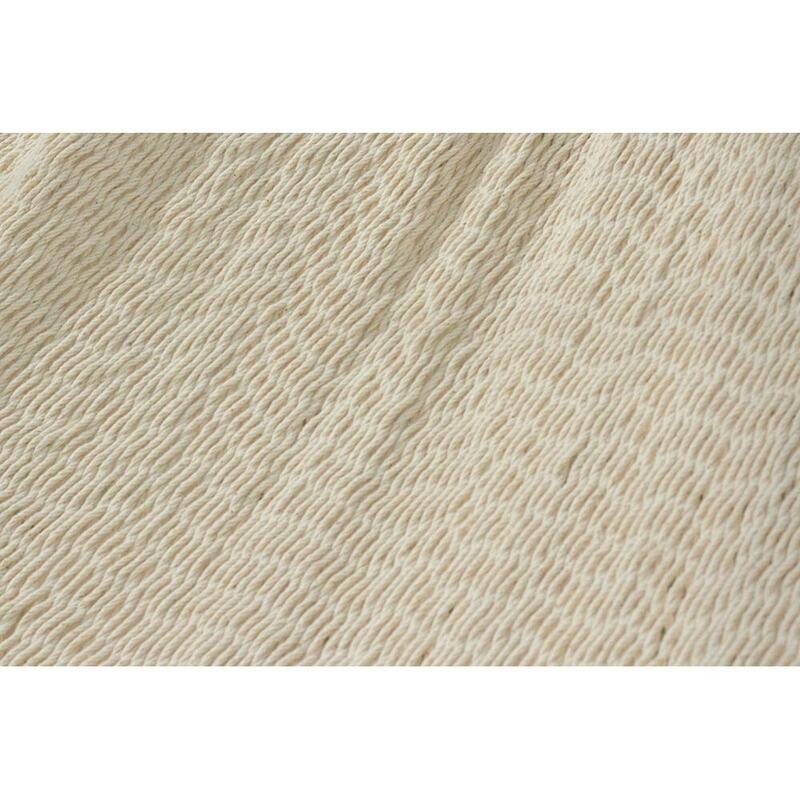 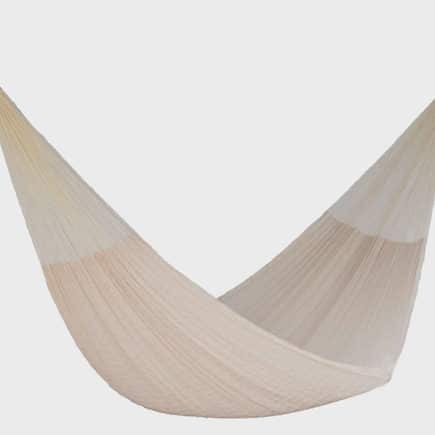 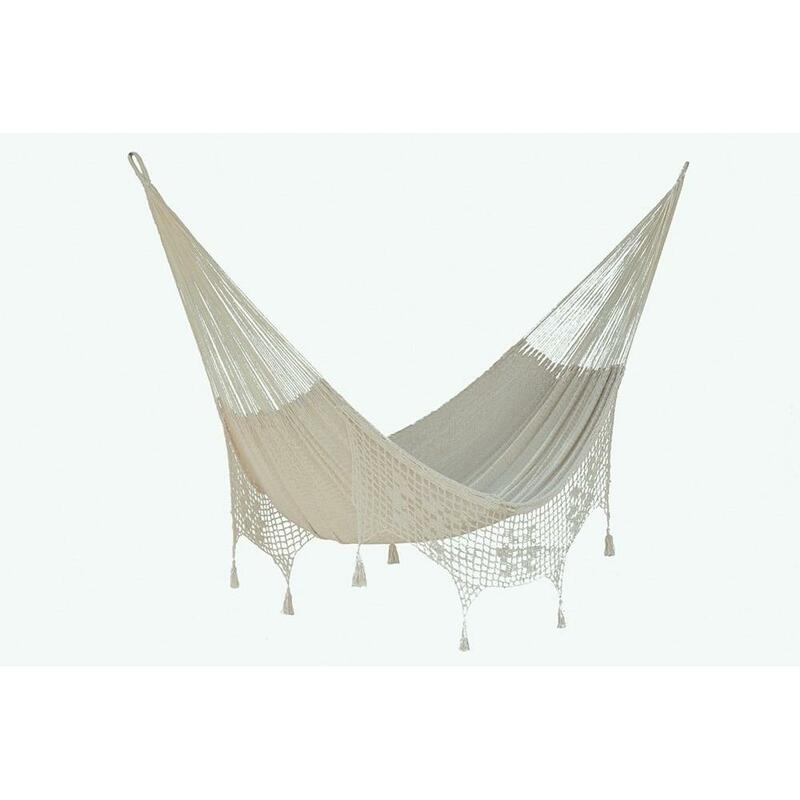 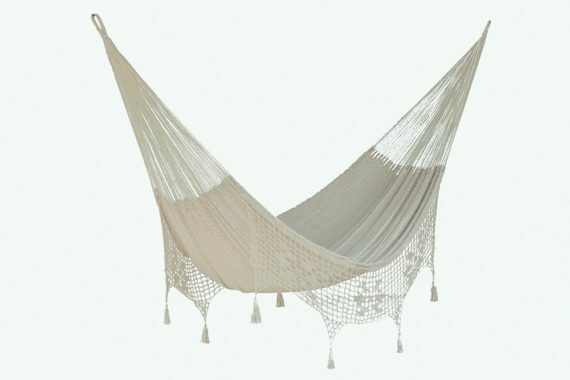 This beautiful queen sized Outdoor Cotton hammock comes in natural cream tones. 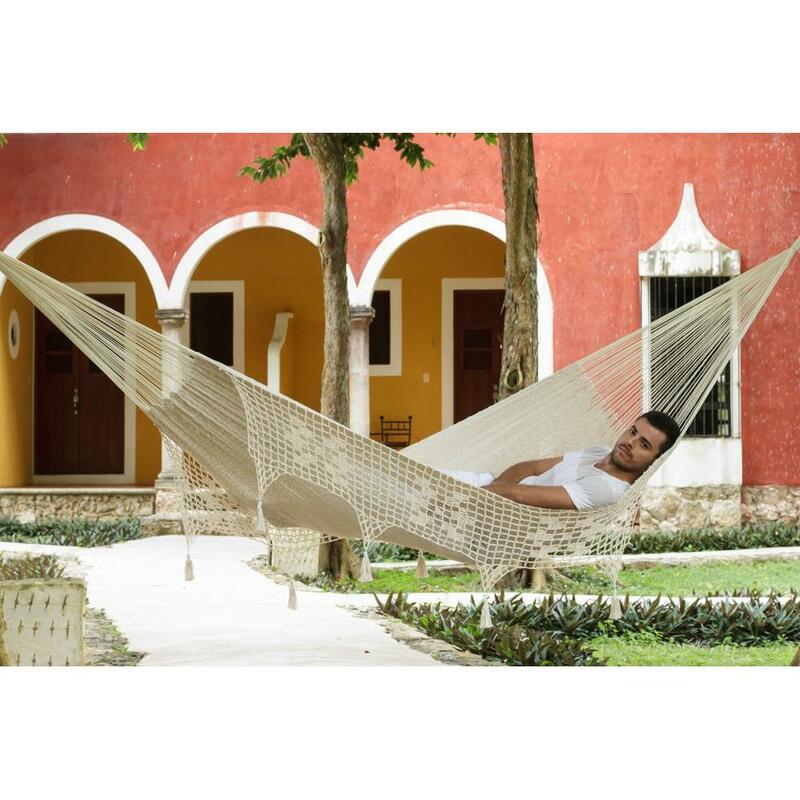 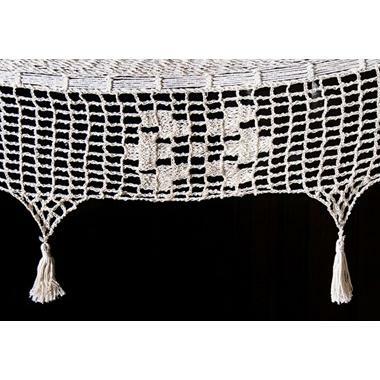 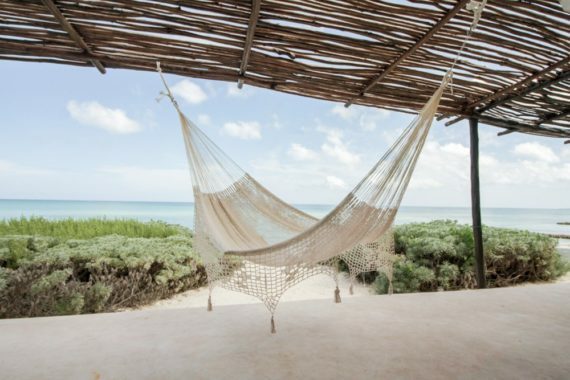 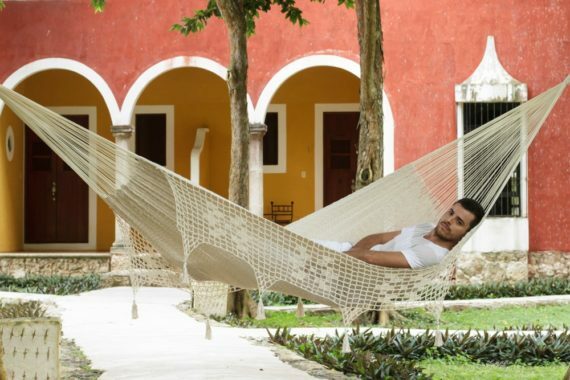 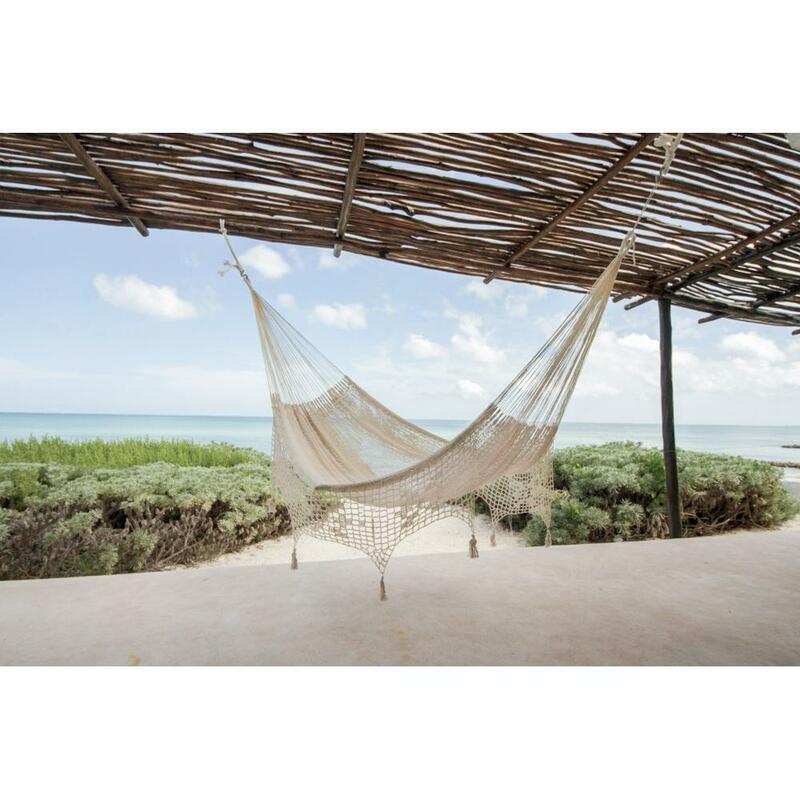 The Deluxe hammock is bordered with crocheted lace and elegantly hand woven with our thicker cotton string for extra resistance, offering comfort and durability. 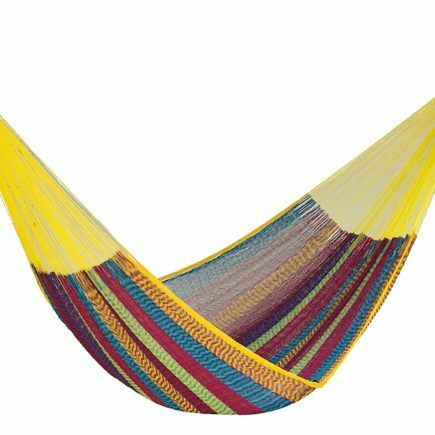 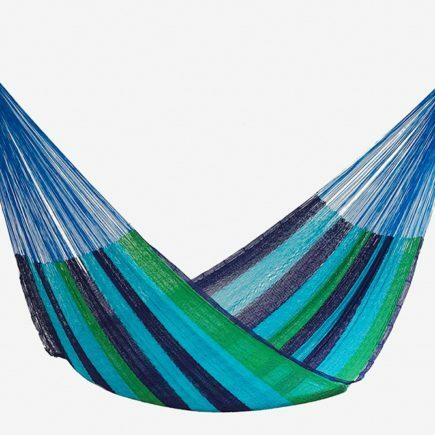 Outdoor cotton hammocks are created for heavy outdoor use with cotton string, three to four times thicker than regular cotton.